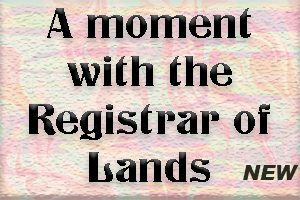 Posted on 02 July 2017. 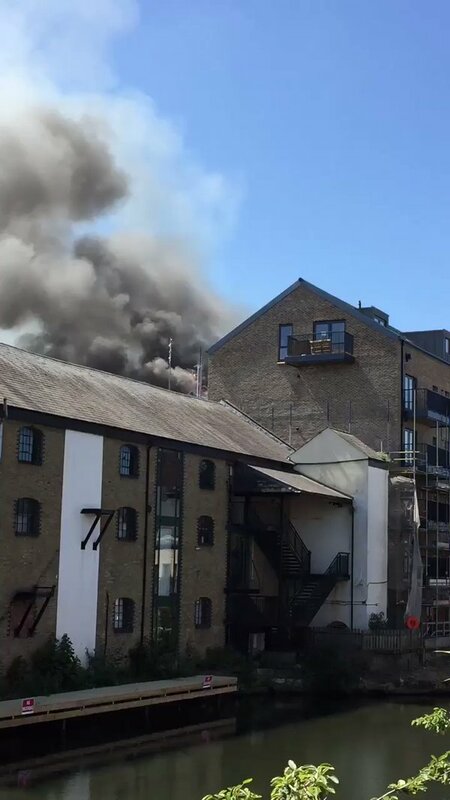 A huge fire has ripped through a new multi-million pound development in a trendy part of east London. Dramatic images posted on social media showed thick smoke billowing over Victoria Park, in Bow. 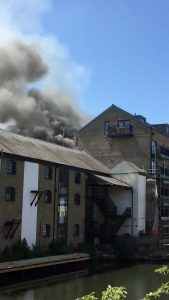 Eighty fire fighters rushed to Bow Wharf – a new development where apartments cost as much as £1 million – just after 11am on Sunday. 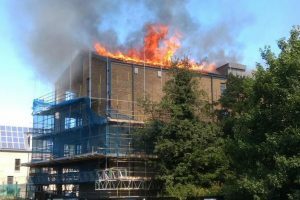 At least 75 per cent of the roof of one of the developments blocks of luxury flats has been destroyed by flames, London Fire Brigade said. Fire crews evacuated a nearby play area while Grove Road was sealed off, witnesses said.